If your small business requires employees to drive as a part of their jobs, you may be looking for gas cards for small business. Because many fuel cards for small business are branded, they are only able to be used at certain stores. These fuel cards may also be used to make other purchases inside of the stores, making them easy for employees to abuse. Gas cards for small business from Bento for Business can help you to control the costs and to prevent purchases that are disallowed by you. The gas cards for small business from Bento for Business are business Visa debit cards, which means that you simply load the amount of money that you want on each of these small business gas cards. Your employees may then use them to pay for fuel at the pump wherever Visa is accepted. You can limit their spending to pump-only purchases or allow them to also spend money on other vehicle expenses such as oil changes. Your employees can be allowed to spend up to $200 per day on fuel and vehicle expenses, or you can set lower limits if you want. These fuel cards for small business are refillable 24 hours per day from wherever you are. You simply load more funds onto a card when you see that the balance is getting low. The small business gas cards from Bento for Business offer strong spending controls and security measures. You can designate the types of spending that an employee can do with his or her card. If an employee attempts to make an unauthorized purchase, the transaction will be automatically declined. You are able to view how much money is left on each card on your interactive dashboard. With a click of a button, you can turn off an individual card, obviating any worries that you might have about a terminated employee spending on the card. The gas cards for small business are FDIC-insured up to $250,000. 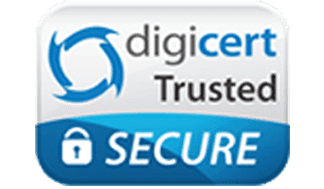 Bento for Business also uses the highest level of SSL-encryption technology to protect your information and your money. Small business owners may feel overwhelmed when it’s time to file taxes. When you have gas cards for small business, you can easily import all of the spending information from these business debit cards directly into the appropriate expense category in your bookkeeping and accounting software. If you also have other prepaid debit cards from Bento for Business that are used for other categories of spending, the information from those cards can also be imported. This functionality allows your business or accountant to prepare your taxes. You can also easily see what is being spent, and reconciliations can be much more straightforward. 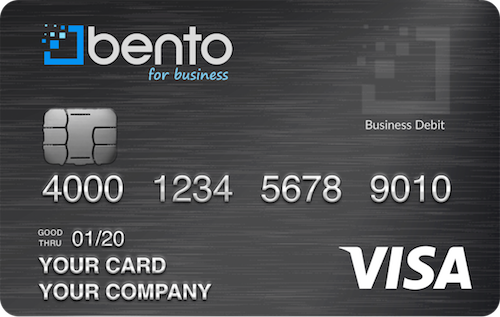 Business Visa debit cards from Bento for Business make for great small business fuel cards and they can help you to keep your spending under control. By limiting the spending ability on the cards that you give to your employees, you can protect your bottom line while preventing employee thefts. Unlike regular fuel cards, the gas cards for small business at Bento for Business do not have high-interest rates, they are debit cards, and you do not need to worry about your credit. Contact us today to learn more or to get started on your free 60-day trial in as little as 60 seconds by calling 866.220.8455.